THIS week it sounds like Mike's trying to explain himself! Love is missing the point, though: Purists have never liked the idea of his charlatan Beach Boys cashing checks on the back of Wilson’s songs, and if the reunion tour proved that the actual Beach Boys can coexist and perform together, then why would anybody want to go back to watching Love and a bunch of hired hands? Who is in that Beach Boys anyway? Is Buckethead there? Mike Love says that "divisive and ugly rumors" that he sent Brian Wilson packing from the Beach Boys are all the result of a misunderstanding. "I did not fire Brian Wilson from the Beach Boys," Love writes in today's Los Angeles Times. "I cannot fire Brian Wilson from the Beach Boys. I am not his employer. I do not have such authority. And even if I did, I would never fire Brian Wilson from the Beach Boys. I love Brian Wilson. We are partners. He's my cousin by birth and my brother in music." Love reiterates that the Beach Boys' 50th-anniversary tour, which also included surviving members Al Jardine and David Marks, was "always envisioned as a limited run" and that none of the band "wanted to do a 50th anniversary tour that lasted 10 years." "It was meant to be special," Love writes. "In fact, very early on, Brian was just going to join the tour for a few dates in big cities. We finally settled on 50 dates in 50 major markets." Positive reviews and demand from fans and promoters prompted the band to add another 25 shows, and Wilson and Jardine were keen to keep going after that. 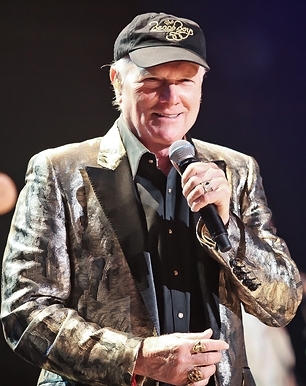 But Love says an ongoing reunion tour is "impossible" because of other Beach Boys shows he had already booked that started to bump up against the reunion dates. 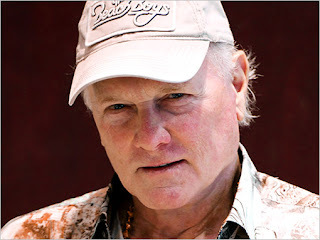 "To avoid public confusion, and at the request of Brian's representative, we had a press release sent out detailing the differences between the two Beach Boys tours and its varying lineups," Lovee writes. "I was surprised that Brian and Al said they were surprised by this announcement. Some media outlets interpreted all of this as me firing the band." Despite the split of the reunited Beach Boys, Brian Wilson remains optimistic about recording new material with the band. "I wouldn't mind getting together with Mike [Love] and the guys and making an exciting rock & roll album. . . I'm sure by early next year we'll be ready to rock," he said at a Q&A session at the Grammy Museum last month. Mike Love is fighting back against those have vilified him with claims that he “fired” original Beach Boys members Brian Wilson, Al Jardine and David Marks. Love has penned a lengthy, pointed and emotional open letter to the Los Angeles Times in an attempt to set the record straight. RELATED: Is Beach Boy Mike Love Music’s Biggest Villain? To recap, Wilson, Jardine and Marks are no longer a part of the “Beach Boys” that will be touring the world in the coming months, despite a desire to do so. “I’m disappointed and can’t understand why he [Love] doesn’t want to tour with Al, David and me,” Wilson told CNN in frustration. “We are out here having so much fun. After all, we are the real Beach Boys.” Months ago, Wilson told us that he’s already thinking about the Beach Boys’ next album, a follow-up to June’s That’s Why God Made The Radio. Meanwhile, Al Jardine urged fans to sign a petition to Love, asking him to allow original members to continue the reunion tour following last week’s final show in London. Love, on the other hand, explained in a press statement issued several weeks ago that the Beach Boys reunion was always “designed to be a set tour with a beginning and an end.” He reiterated that in his letter, of which you can read in its entirety here. Let me get right to it: I did not fire Brian Wilson from the Beach Boys. I cannot fire Brian Wilson from the Beach Boys. I am not his employer. I do not have such authority. And even if I did, I would never fire Brian Wilson from the Beach Boys. I love Brian Wilson. We are partners. He’s my cousin by birth and my brother in music. This tour was always envisioned as a limited run. None of us wanted to do a 50th anniversary tour that lasted 10 years. It was meant to be special. In fact, very early on, Brian was just going to join the tour for a few dates in big cities. We finally settled on 50 dates in 50 major markets. Brian, Al and I signed an agreement outlining the beginning and end of the tour. Then, thanks to glowing reviews, the support of our loyal fans (and the prodding of promoters), we amended our agreement to add 25 more dates. As the year went on, Brian and Al wanted to keep the 50th anniversary tour going beyond the 75 dates. Like any good party, no one wanted it to end. However, that was impossible, given that we had already set up shows in smaller cities with a different configuration of the band — the configuration that had been touring together every year for the last 13 years. Brian and Al would not be joining for these small market dates, as was long agreed upon. Initially, there was to be plenty of space between the two tours, but then we added 25 more dates and the two tours bumped up against each other. To avoid public confusion, and at the request of Brian’s representative, we had a press release sent out detailing the differences between the two Beach Boys tours and its varying lineups. I was surprised that Brian and Al said they were surprised by this announcement. Some media outlets interpreted all of this as me firing the band. The plan was always to go back to our respective lives post the 50th anniversary run. Brian is writing a new album. Al often tours with his band — they are terrific. And my job hasn’t changed in 50 years. I’m the lead singer of the Beach Boys and an ambassador of this amazing music that touched a generation. And to clarify another misconception, I was enormously proud of “Pet Sounds” back in ’66, and I am even prouder of it today. The Beach Boys are bigger than those who created it. When all of us remaining founders have turned to dust, the band will live on in the hearts of those who relish the sounds of summer. So you see, summer’s never really gone. And neither are the Beach Boys. I agree with you and Charlie about the youtube "The Walk" video. I did not think it fit the song. I didn't make the Mr. and Mrs. Smith connection because I have never seen the movie and Charlie is right ... it's just too violent. But I can tell you this ... I have never learned the lyrics to any song so fast! John Mellencamp has been asked about his assumed participation in a film, now available as a video-on-demand and slated for a theatrical run, entitled Jack & Diane, the same title as his 1982 #1 hit single. Both the song and film titles are formatted with an ampersand (&) between the names. To clear up whatever confusion there may be about the topic, Mellencamp was persuaded to issue a statement about the matter. He noted, "You don't hear my song in the film and I played no part in suggesting or offering this title. It's most apparent that the lead characters were named with the hope that the familiar title might resonate in some people's minds. I guess that's OK to do, strictly from a legal perspective, but riding on someone else's coattails and having a moral compass is left up to each individual." John Mellencamp's "Jack & Diane" was chosen by the Recording Industry Association of America and the National Endowment for the Arts as one of the "Songs of the Century" in 2001. When you talk about Alex Valdez of the Yellow Balloon hearing "Yellow Balloon" sang over "Mrs. Brown," I can hear it easily. I actually hear "Mrs. Brown" first with "Yellow Baloon" sang over the top " ... you've got a lovely daughter, it's like a yellow balloon on a rainy afternoon, girls like her ... " even 'tho it makes no lyrical sense at all as a medley. I hear mashups of songs all the time when I hear chords or lyrics that seem to fit. I never realized that the opening 15 notes of "You Wouldn't Listen" were copped from the Kinks' classic "Tired of Waiting for You" until Jim Peterik mentioned it in concert years ago. I realized it immediately after that! Another Illinois song certainly ripped the Kink's song off completely. "I Love it, Baby" by Galesburg, Illinois' The Furniture, which was one of my FH garage band songs picks. When listening to the song in the car the other day, I thought of a great mashup beginning that would sound just like the Kinks' song intro using the two. If you are a Kinks fan like the Ides obviously were, the Furniture is just your cup of coffee table. It incorporates "All Day and All of the Night" as well. Both the Ides and Furniture songs are great in their own right, but maybe the Ides succeeded due to Chicago vs. Galesburg for location (and airplay on the Big 89) and a producer suggesting a key change in the middle (I note the Peterik co-written Beach Boys song "That's Why God Made the Radio" incorporated this technique these days, too). Whatever the case, none of the songs mentioned should ever be forgotten and that's why I think Kent should present them in FH. I created a mashup of the songs which I call "I Love 'You Wouldn't Listen', Baby." The mashup of the two Illinois band tunes gets hard to listen to after a minute, but it is kinda fun, I think. The Ides use an ascending vocal break while the Furniture use a wild guitar solo, but they flow along about the same otherwise. The Furniture 45 came out less than a year after the Ides which came out a year after the Kinks. Elvis' girlfriend, coming out with a new album. This is pretty unprecedented ... TOMMY ROE has cracked TOP 20 AC ... FMQB ... the radio bible. Devil's Soul Pile ... it's everywhere! Hope all is well! I’m sending off our weekly radio tracking report on “Devil’s Soul Pile” along with all of the charts that I have available from NMW, FMQB, STS, IMN, STS and Mediabase. The single continues to perform quite well as we ended with yet another stellar week! That second round FMQB push continues to yield great returns as you ranked 4th “most added again and you moved up to “Top 18!" The Media-base outlook is also excellent highlighted by you move into Top 50 over there – congrats! As of this writing we are set for another very strong week ahead! kk: My favorite track on the new Micky Dolenz "Remember" CD is his version of "Sugar Sugar" ... you can almost picture Micky singing this one in a dimly-lit, smoky nightclub ... it's got a GREAT feel to it ... and makes this bubblegum classic take on a whole new persona. MICKY DOLENZ: "Sugar Sugar" was supposed to be the next Monkees song. I never wanted to do the song, but producer David Harris did an incredible arrangement for this new album and talked me into it. It’s now become one of my favorites on the album! It's been a few months since we last posted an update on Sonny Geraci, the much-loved lead singer of The Outsiders and Climax ... and a few of our readers have been wondering how he's doing. Has there been any updates on Sonny's condition? Driving home tonight I heard “Time Won’t Let Me” by the Outsiders and my thoughts turned to lead singer Sonny Geraci. Do you have an update on his condition, and if not, maybe one of your writers does. Hopefully his condition has improved greatly since this original posting on his website. Pray for Sonny Geraci & Family. The updates that I've been receiving have come from Dennis Tufano, former lead singer of The Buckinghams, who has performed dozens and dozens of shows with Sonny over the past few years. They cameto him via Sonny's daughter Bri ... but he hasn't heard much in the way of news lately either. Bri, if you see this, please let us know how your Dad is doing. The last bit of news was SO uplifting ... please know he is still in the thoughts and prayers of many of the oldies music fans out there. I haven't heard from Sonny's family in a while now. I assume he's doing well in recovery. Left messages for his family but no news. When I get news I'll let you know. My youngest Daughter and I went to Branson today to have lunch at Andy's restaurant. I misspoke before when I called it The Moon River Cafe ... it is The Moon River Grill. There is a small memorial on the lawn at the entrance with a very nice picture of Andy. The marquee outside of his theatre says "Out of respect for Andy ... the show will go on." I have a CD of Andy's greatest hits and we played it on the drive down. We ate the chicken soup. That was how we paid our respects. A while back a couple of our readers wrote in singing the praises of The Fabulous Flippers, who had a regional hit with their version of "The Harlem Shuffle" back in 1966. My friend Doug Richard turned me on to these videos below today. NEVER in my wildest dreams would I have thought I'd get to see live video of the Fab Flippers from the 1960's, let alone 1965 and "Harlem Shuffle" performed WHEN it was a hit! Maybe you guys knew about this, but I sure did not! I had looked at youtube for them years ago and saw recent footage only. THESE are just AMAZING as well as where they came from. At first, I thought they might have appeared on the Coachmen's 1967 TV show! Below is a description of how these came about from the Flippers' leader. More comments below from me, too. Enjoy!! This song is part of The Fabulous Flippers Movie of "The Harlem Shuffle" recorded in New York City in 1965 at 20th Century Fox Studios. The original movie was a one hour "trailer" that went played behind Rock Hudson movies in the 60's. This was America's first attempt of an ""MTV" type video. This original was filmed in 35mm color / sound. Written by Ray Charles, "Tell the Truth" is a Rhythm and Blues classic. This is VERY rare footage! We have a lot of Flipper Fans out there, I'm glad you're one of them! Danny Hein -lead vocals. Be sure to check out www.DannyHein.com! It's VERY cool not just for the music. Their dance steps were great and I think this is NOT the 45 version, but a taped backing track with vocals recorded at the time of the video. Note the hand claps that appear perfectly placed in the video too. I don't remember the vocals sounding quite like this and the handclaps standing out at all. The fact that this was a ONE HOUR trailer for movies was just super cool. It really looks it, the way the word graphics are, kinda like the Flintstones in the day. I'd love to see more than just the two songs on youtube. I would NEVER have thought I'd see 60's video of the biggest band in Kansas / Oklahoma / Nebraska area!! Amazing! What a GREAT FIND for someone who never got to see them live. Now, how to get hands on the Coachmen TV show tapes??? Wasn't "Hungry Eyes", the Eric Carmen song a top 20 song? Keep up the great site!! Man, you are getting my blood pressure up! Another rock and roll travesty! How about a KK R/R HALL OF FAME? We can start to vote on five deserving artists / groups and the top five by voters are elected?? That would be fun. Time for the pepto! Lamest bunch of also-rans ever for a RRHOF ballot. The only one that surely deserves to be there is Donna Summer, who was a dominant disco artist. Like it or not, disco was a huge part of rock and roll history in the mid to late 70s. To me, a lot of it sounds like many of the Motown or Philly soul records with a little bit different beat. I am not a fan at all of Rush but accept that they had a large catalogue of well known records. The other choices in my opinion did not achieve enough popularity to be considered. Though I love the Marvelettes, their career was essentially eclipsed by the Supremes and Martha & the Vandellas. I'd say that Chicago, Tommy James & the Shondells, the Cars, Journey [not a fan], Chubby Checker, and the Monkees easily are more deserving than all their choices. Live at The Arcada Theatre! A Very Special Evening For True Rock Buffs! Add Jan & Dean to the list of ignored rock acts! Support freedom of speech - vote for Kent Kotal!!! With such an important election coming up in one month -- where the future of our freedom is on the line, to say nothing a further erosion of the visions of our Founding Fathers -- it's a bit more difficult this year to get too worked up over Jann and his pathetic picks. It's a further insult that there are not enough electors and nominators with the guts to stand up to him! Linda Ronstadt (one of a handful of truly great singers), The Guess Who, Johnny Rivers, ... and the list goes on ... and the list goes on ... It's truly amazing that some of the icons of music -- those already inducted into the Hall of Fame -- have not been more vocal in their criticism. In fact, more than a few of them were deeply influenced by a number of the artists listed above -- a further insult. As to Randy Newman -- who's had one substantial hit in over 30 years -- I can honestly say he's a creative genius, but more suited to an Oscar than induction into the RRHOF. His contributions to motion picture soundtracks is beyond challenge. So, while Donna Summer unfortunately did not live to receive the honor, I do support her inclusion, and that of Heart. I'm on the fence with Joan Jett and The Moody Blues. As a former concert promoter and artist manager, I've had the honor of booking (and / or representing) at least a dozen artists already elected into the HOF. My studio, Treasure Isle, has recorded another half dozen or so (ironically, we recorded Scottish singer / songwriter Donovan last week -- and he still sounds great, by the way). That's my take if anyone gives a damn. This is just outrageous. The fact that Chicago has been left on the curb once again by the Rock 'n roll Hall of Fame not only insults the band and its legacy but it slaps the band's "unique jazz-rock" sound across the face. Chicago and Blood Sweat and Tears redefined rock in the late 60's. "Beginnings" remains as relevant today as it was when the band released Chicago Transity Authority. The Hall of Fame has always struck me as a cozy little group of guys who figure anybody who didn't come from New York or the west coast has no merit. I love Paul Butterfield and there should be a place for his remarkable blues band ... Al Kooper, alone, deserves a spot in the hall for his keyboard work on "Like a Rolling Stone" ... but to have them on the ballot, and omit Chicago, just doesn't jive. I swear the damn Hall would give the Archies the nod before they'd recognize the genius of Chicago. Who doesn't love "Wishin' You Were Here" with the Beach Boys providing background harmony ... one of the most beautiful melodies you could ever hope to hear.